Pro Audio & Lighting Commercial Division is a full service rental house, serving the needs of mobile entertainers, bands, trade shows, houses of worship, and any type of presentation imaginable. 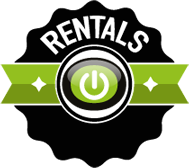 We use the industry standard equipment to fill any rider and have a full staff of technicians and crew to accommodate your every need. From one-offs to large-scale-productions, you can be assured of personalized service from booking to strike and we treat every production with the integrity and professionalism you deserve. Please allow one of our consultants to guide you through specifying the equipment you need to execute your event flawlessly.